Accurate calculations of process Cv’s, valve opening percentages, velocity, critical condition warnings, and predicted noise levels are some of the features provided by J-Flow Controls’s Trio Control Valve Sizing (TCVS) Application. Calculation algorithms, methods, and equations are in accordance with international standards of ANSI/ISA-75.01.01 (IEC 60534-2-1 Mod)-2007, Flow Equations for Sizing Control Valves, as well as ANSI/ISA-S75-17 - 1989, Control Valve Aerodynamic Noise Prediction. 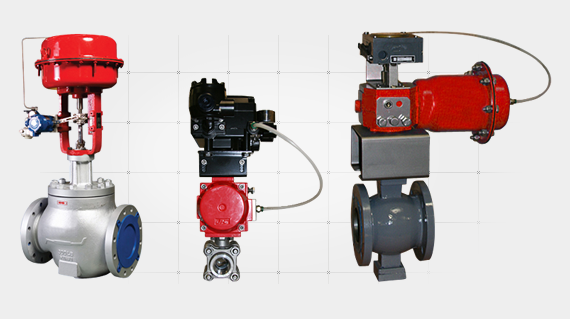 J-Flow Controls’s Trio Control Valve Sizing (TCVS) Application automatically performs a correction of flow rate calculation, taking into consideration the resistance of installed fittings. Define multiple operating points for simple what-if scenarios, determining critical service thresholds, optimum flow rates for minimum and/or maximum % open, and easy comparison of available control valve technologies. © 2019 J-Flow Controls. All Rights Reserved.